Mr. Battle has over 30 years manufacturing and engineering experience in the Aerospace and Automotive industries. 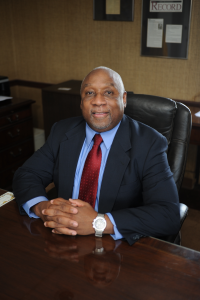 As President & CEO of Coolant Control Inc. (CCI) Mr. Battle provides executive leadership at CCI that also has two international manufacturing facilities, Wuhan China and Bangkok Thailand. Under Mr. Battle’s leadership, CCI diversified its product offerings resulting in increased revenues of $50M. Mr. Battle implemented lean technology throughout CCI’s manufacturing processes allowing CCI to leverage its core competencies to expand and improve its manufacturing capabilities. CCI is the 2008 recipient of the Cincinnati USA Chamber Small Business Excellence Award and the 2009 Manny Awards for New Product Innovation. While at Ford Motor Company Greg attained the Plant Manager position in 2003. He has received 12 Managerial Awards of Excellence and 3 Departmental Managers Awards. Mr. Battle created the Greenbelt Project Guide Book and Certification Process while employed by Ford and has trained over 1200 Greenbelts and Black-belts. While at General Electric, Greg collaborated with two colleagues to invent a quality process, Hot P4TF4 Macro Etch, that reveals surface anomalies in steel castings. It is now a world renown process for inspecting surface defects in castings and Mr. Battle was awarded the patent. Mr. Battle currently serves on several boards including: VP of Development Dan Beard Boys Scouts serving 42K boys in the Tri-State region, Work Force Director of the Cincinnati Urban League, Voting Director of The African American Chamber, OMSDC LAC Board, Children’s Hospital Sickle Cell Board, Director Cincinnati USA Chamber, Toyota Opportunity Exchange Board, Cincinnati USA Chamber Manufacturing Board, Six Sigma Academy National Board and in Michigan: Johnson Controls / Toyota Project One Board. Mr. Battle mentors over 60 M/WBE’s and volunteers teaching students having math and science problems in Cincinnati Public schools. Greg a Professional Engineer, a Six Sigma Master Black-belt and has attained two Engineering degrees.